Today's episode is about how you can invest in a cow to diversify your income stream. The website is called livestockwealth.com and farmers in South Africa will take care of your cow for you and sell it when it's ready. You pocket your portion of the profits. Also you get your initial investment back. Sound too good to be true? Decide for yourself! Like a like, comment, and share! You can also visit jackthedreamer.com for more financial independence and minimalism blog posts. #7 How Can Fluorescent Tape Help You Reach Financial Independence Faster? How can fluorescent tape help you save money to reach financial independence faster? Listen to find out! Visit my blog at jackthedreamer.com for more fun financial independence and minimalism articles :) remember to like and share this episode! This episode talks about how you could be working on generating passive income all while sitting on the toilet. You don't have to find more time in the day, you could just use the time you currently have while sitting on the toilet with this simple hack. 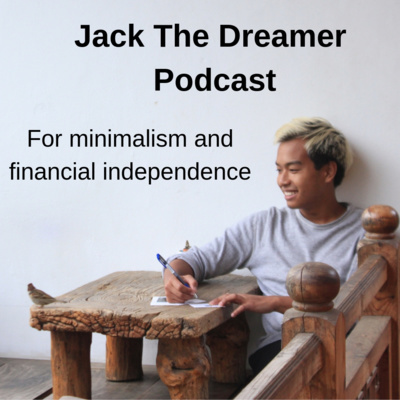 Listen to the episode to find out :) visit https://jackthedreamer.com for more fun articles on financial independence and minimalism! Have a great day! 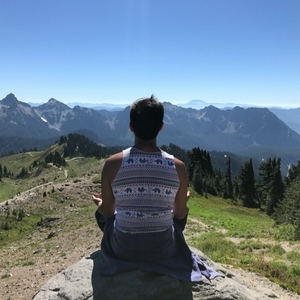 For today's episode, my brother is going to talk about breaking bad money habits while sharing a personal bad money habit that slowed down his path to financial independence. If you like it, share it :) visit jackthedreamer.com for more fun articles on financial independence and minimalism from a KonMari perspective. In this episode I provide a brief actionable explanation as to starting your own podcast to monetize another creative outlet as a means of expression. And I introduce my brother :) visit https://jackthedreamer.com for more fun financial independence and minimalism articles. #2 Phantom energy is delaying your path to financial independence. Here's what you can do about it. Phantom energy could be costing you $17,433 and delaying your path to financial independence. How? And what can you do about it? The solution, as it turns out, is very simple. #1 Turn Your Phone On Airplane Mode To Reach Financial Independence Faster! Ever feel like there is just not enough time in the day? This simple "hack" could help you regain control over your morning and the rest of your day. What is it? Simply by turning your phone on airplane mode when you sleep and keep it on when you wake up and do the things that matter most to you. Instead of browsing social media the first thing in the morning, you can use that time to focus on the things that matter most to you!